/ Should You use a Debit Card or Credit Card for Purchases? Debit Card Vs. Credit Card? Should You Stay Away from Credit Cards? 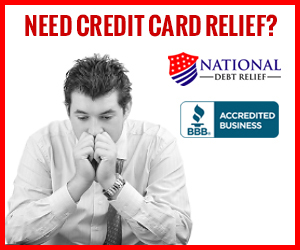 There are a lot of financial guru’s and blogs out there that vehemently scream to stay away from credit cards at all costs, but are credit cards really that dangerous? Overall, Americans are really hurting because of credit card debt, in fact, it’s now the #2 debt! Only behind mortgages! So there are definitely potential hazards there. Lets start with debit cards, debit cards are linked directly to your bank account. When you swipe it, you are immediately taking money out of your account, just as if you were spending cash from your wallet. For this reason it is generally the preferred way to pay for things if you don’t want to use cash – though cash is usually thought of as king because of how it feels when you physically pay for item using currency. However with a credit card when you swipe it, you are using credit. Credit is simply using someone else’s money – in this case a credit card company’s money. But when you use someone else’s money to buy things you owe interest on the money you borrowed as well. However credit cards offer some great benefits and rewards to try and hook people into the cycle of perpetual debt, however if you use them wisely you can really reap some nice rewards. Before I begin make sure you pay off the statement balance every month and also read why the minimum payments are a scam designed to get YOU to pay the most money possible. Credit card companies make money by lending money out to people and then charging them a large amount of interest to pay that money back. Typically using credit is almost never a good idea, the exception is on something that can beat the interest you’re being charged. However for consumables credit is a very bad idea. However there are a lot of perks credit cards offer people. If you play the game smartly you can reap some nice rewards and get a free loan. The trick is to pay the statement balance off, in full. Credit card companies can’t charge interest on the money until roughly 45 days after the due date. Using credit cards responsibly raises your credit worthiness and allows you access to greater amounts of credit at a lower rate. This can save you an incredible amount of money on larger purchases or in the case of a rainy day an influx of cash so you don’t have to worry about running out of money. When you use your debit card, you money is being directly taken out of your account and given to someone else. If your card has been compromised or skimmed then you are out money and you have to fight hard to get it back. However, when using a credit card you are using the credit card company’s money and if it’s a fraudulent charge you are not on the hook for it – the credit card company is. And you better believe it they will figure out the fraudster and raise hell to them which an individual would not be able to. At the end of your statement you have time to review it and make sure you made all of the purchases, but if you didn’t then it’s not your money missing. This happened to me a while back during a rough time in my life. Someone got my debit card number (I was living on cash only meaning no credit) and they spent $601.37 on shoes in Tampa. That was a ton of money to me then, in fact my bank balance was only $230 at the time so I got an overdraft fee to boot! It took me two weeks to get the money back, which sucked because I had bills to pay during that time too. Accidental damage coverage – this means that if you break your device or drop it in the bath tub within a few months or whatever the cards terms are, then the credit card company will replace it for you. Best price guarantee – If you just bought an item and then found a better deal at a different location your credit card company will give you the difference. Extended warranty – some cards offer to match the manufacturer’s original warranty on any purchase. This means a 6 month protection plan for my Toshiba becomes 1 year. Not bad for not paying for anything. This was my #1 reason to get a credit card. I had been looking for a way to set a budget as opposed to just spending whatever I wanted. So I set up a specific bank account and was only allowed to spend the $2,500 that was automatically deposited in there each month. This was I was saving $500 each month right off the bat. This was a huge success to me, but I wanted a better way. I began researching credit cards and looking at their rewards. I was astonished at some of the rewards! My first credit card (no longer available) was the SallieMae barclays card. They offered %5 cash back on groceries (up to $250 spending) gasoline (up to $250 spending) and amazon(up to $750 spending) and 1% cash back after those spending limits and on everything else. What I did was put everything on the card that I could. From my utility bill, to gas, to buying a candy bar at the convenience store. Everything went on the card, I set my budget still at $2,500 and not only did I stay in budget but I also averaged $40 a month in cash back. This means I was making about an extra $500 a year just by using a credit card to make all of my purchases. I then set up an account to just let the cash back chill. To this day I have still never touched it an it’s nearing $2,000. It’s now also starting to get some decent dividends back from putting it in a money market account. Cards vary tremendously in their rewards, some are designed for travel and offer great airplane rewards, or even hotel rewards. Some are more for saving at the gas pump, some offer cash back which vary whether you can redeem in cash or statement credits etc… The point is, find one you like and fits your lifestyle the best it can and use it a lot – but responsibly! Many credit cards offer some sort of sign up bonus to try and hook people into that card, but for responsible people it’s free money. By using a credit card responsibly, you will get a better credit score over time. This means you will get tons of credit card offers. Some are terrible, but some are alright. I had one, that offered me $1,500 sign up bonus as a statement credit after spending $4,000 within the first 3 months of sign up. You better believe I signed up and used that card! I just signed up for a chase 1.5% cash back everywhere because I have to make a $2,000 purchase and I decided to find a 0% intro APR to make this purchase with. Of course I could pay cash for it, but I mind as well an have the 0% interest, it’s a free loan plus the small amount of cash back I can get. As a bonus they also offer $150 statement credit.